Colombia’s Football Federation (FCF) on Thursday confirmed Portuguese Carlos Queiroz as head coach of the country’s national football team at a press conference in Bogota. The 65-year-old takes over the reigns on a contract that will run until after the 2022 World Cup, as he takes on the task of building on the legacy left by Argentine Jose Pekerman, who parted ways with “Los Cafeteros” after last summer’s showpiece in Russia. “I will try to do my best to take good care of the heritage, the prestige and reputation that Colombia has throughout the world, developed in recent years in the national team by Pekerman,” said Queiroz. “I know the Colombian players very well. I have spoken with some of them,” he added. Our mindset will always be to win. We will do whatever is necessary in every game to be in line with the art of winning. Colombia’s Footall Federation expressed its delight with the appointment after a long selection process, with President Ramon Jesurun highlighting the extensive experience of the new coach. “Today is a very important day, after a responsible job, to land a hard-working and successful person. 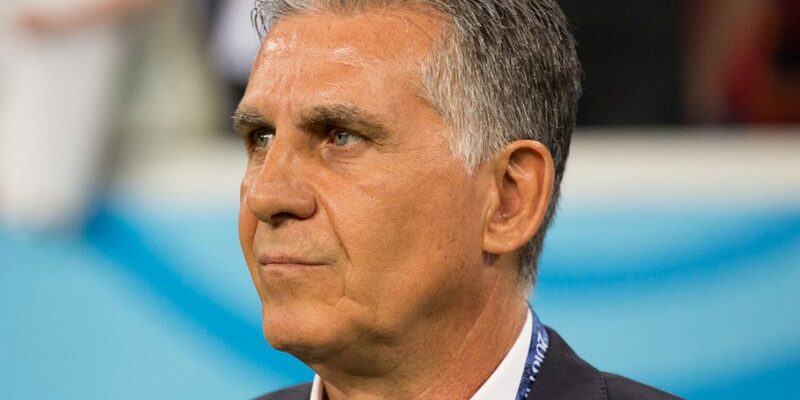 Carlos Queiroz has 35 years of continuous management of teams,” said Jesurun. Queiroz’s initial backroom team will be made up of fellow Portuguese Oceano da Cruz as assistant and Ireland’s Mick McDermott as physical trainer but the new coach insists that he will be adding some ex-Colombian players who understand the footballing culture of the nation. “It is my intention to have Colombian coaches in my technical body,” he affirmed. The Portuguese coach boasts a wealth of experience after managing Real Madrid in the 2003/2004 season in between several years spent as understudy to Sir Alex Ferguson at Manchester United. His tenure at the Spanish giants was unsuccessful however with his side finishing fourth in the league, eliminated by Monaco at the quarter-finals stage of the UEFA Champions League while crashing out of the Spanish Cup at the hands of Real Zaragoza. At international level, Queiroz took charge of South Africa between 2000 and 2002 and his native Portugal between 2008 and 2010 before moving to Iran. The Mozambique-born coach was Iran’s longest serving football manager, leading “Team Melli” to the FIFA World Cup in 2014 and 2018. Colombia will face Argentina, Paraguay and guest nation Qatar in the group stages of the 2019 Copa America in Brazil. “Los Cafeteros” will open their bid to land a first Copa America since 2001 against “La Albiceleste” on 15 June in Salvador de Bahia before facing Qatar on June 19 and concluding the group phase against Paraguay four days later.